The event will be held in Ahakista on West Cork’s Sheep’s Head peninsula from 23-25 March 2018, as Victor Daly welcomes the best stone carvers and dry stone wallers from across Europe to this rugged part of southwest Ireland’s coastline, on the Wild Atlantic Way touring route. Come to the symposium to be inspired by a rugged coastline that’s home to Ireland’s most creative communities. 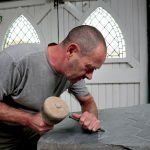 Discover how stone has shaped our lives and imaginations, and unleash your own creativity as you learn from stone masons, carvers, and sculptors whose work carries ancient traditions into the future. For generations, artists, makers, producers, and dreamers have been inspired by the stone that forms our peninsulas, islands, rolling hills, and valleys. Stone tells a story that unlocks the flavours, textures, landscapes, and creativity of our Wild Atlantic shoreline. 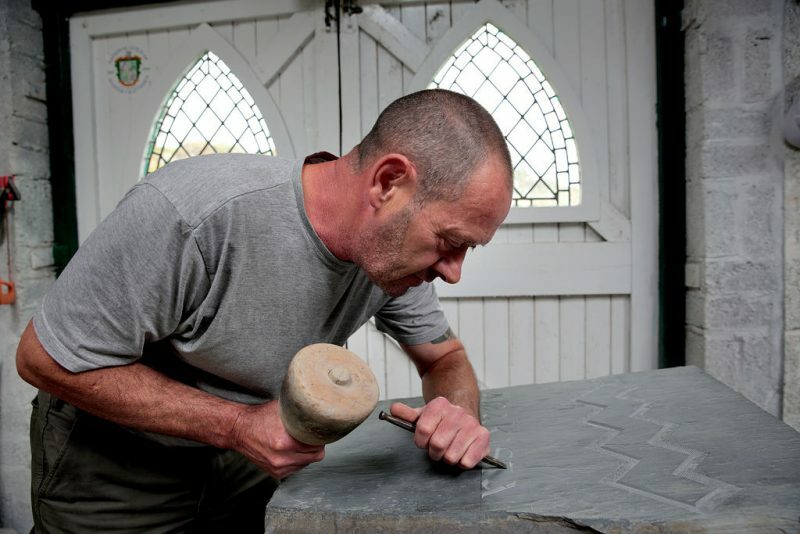 Booking is now open for workshops with some of Europe’s most acclaimed dry stone wallers and stone carvers. Victor was very proud to represent Cork as the carver of the county’s stone for the ‘Clocha na hÉireann’ or ‘Stones of Ireland’ monument erected in Glencolmcille in Donegal. The monument is a map of Ireland made up from individual pieces of stone carved by people from each of the counties of Ireland. 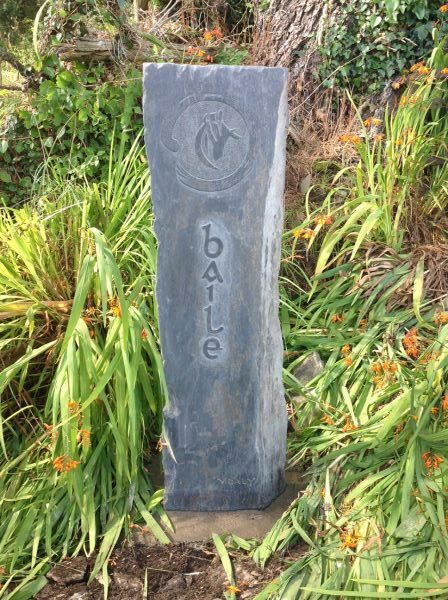 The project was commissioned to commemorate the centenary of 1916, and it celebrates the crafstmanship and tradition represented by stone carvers from across the island of Ireland. The monument, which is located opposite the Glencolmcille Folk Park, as part of the Tirconnell Folk Festival 2016. Jane Keenan commissioned the scupture to mark the birthday of her husband Terry. 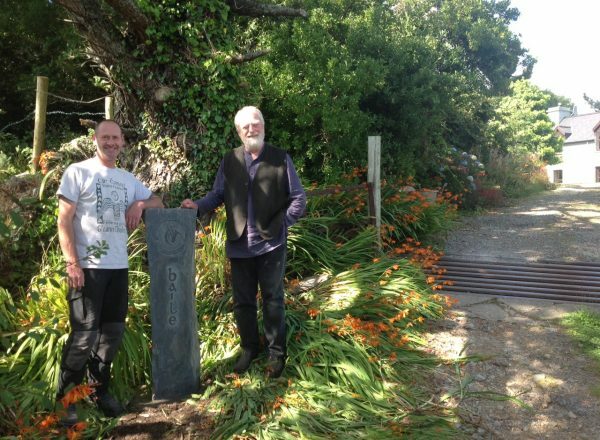 Terry, who lives on the Sheep’s Head peninsula here in West Cork, is an ordained Buddist monk, the Rev. Saigyo Yuho, as well as a writer and painter. mind is free to let the body and spirit create. The harp inside is based on one of Terry’s drawings, and the Baile is the way he writes it himself. How wonderful to have a piece of sculpture that has such a powerful set of meanings for the person receiving it as a gift! Visit Victor Daly's profile on Pinterest. 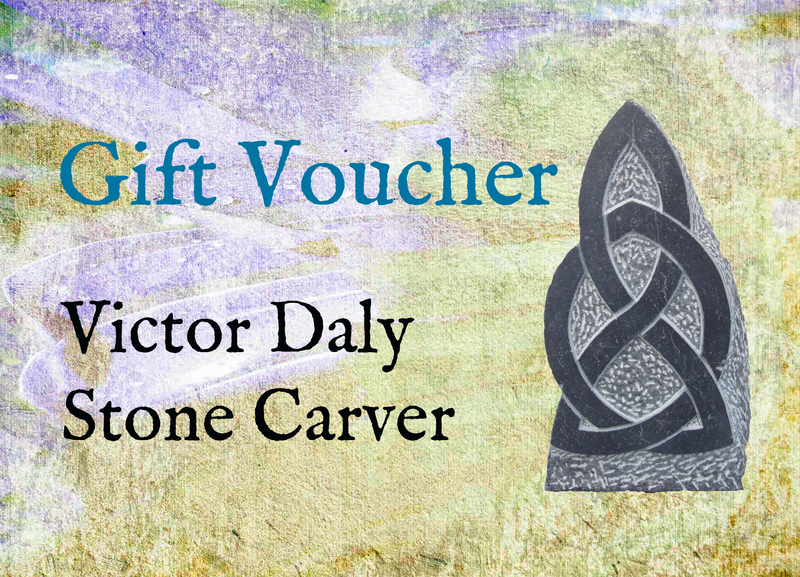 Gift vouchers are available, and can be used to pay for sculptural work, nameplates, and other decorative items, as well as the training courses that Victor offers.